The MetalCloak CJ Overline™ Flat Tube Fender gains the most clearance in the industry! Note: 6" Flares Sold Separately. 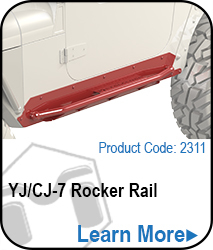 Note: '72 - '75 CJ5's May Require Additional Modifications for Install. 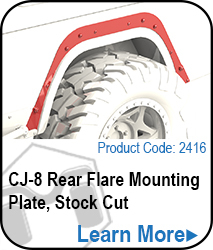 "LED Marker Lights are not included"
Click here to add LED Marker Lights to your order now. Most Tire Clearance in the Jeep Industry. 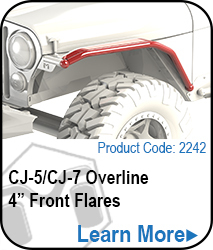 Gain up to 14" of Articulation as seen in Four Wheeler magazine! True Low Center of Gravity Builds! Gain Highline Kit clearance without Hacking or Replacing your Hood. No hacking your Stock Fenders like other tube fenders require. Set them aside or resell them! 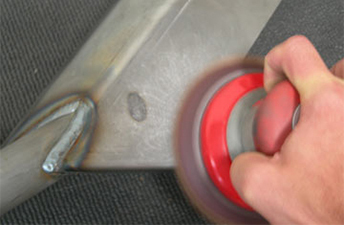 so unlike typical tube fenders, you don't rub on a simple turn. 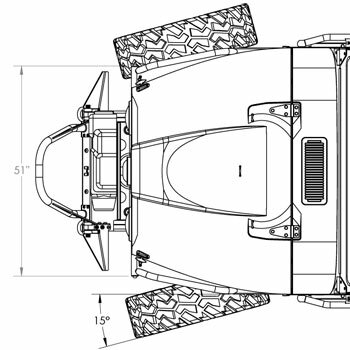 These diagrams silenced the critics and proved that MetalCloak truly was the best in the industry. Here they are shown with the Arched Tube Fender, but the results are similar for the Overline.